So you’ve chosen the right tools for the job, gotten yourself the perfect pomade, but where do you begin styling? 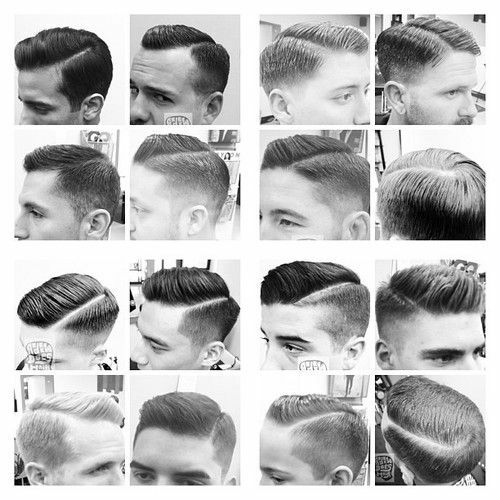 Here are some great examples of trendy hairstyles, and vintage favorites that look awesome with pomade! The hottest trend for 2017 in mens hairstyles is the hard part with grown out bangs. Its got a defined shaved edge to one side, while the rest of the hair is a grown out length. This style needs a light amount of a matte pomade to secure the wispy bangs, but you can slick them back or to the side just about any way you want! If you’re into the more classic look, the hard part with short bangs is a more refined look. It’s great for an office place or professional guy, and the shorter length gives you endless possibilities. Personally I think this look is made even better with a top coat of oil-based pomade to give it that glossy finish. If you aren’t a fan of the hard part, or having a fade on one side of your head, you’ve still got some trendy options. You can achieve the retro stylish look without rocking a hard part. 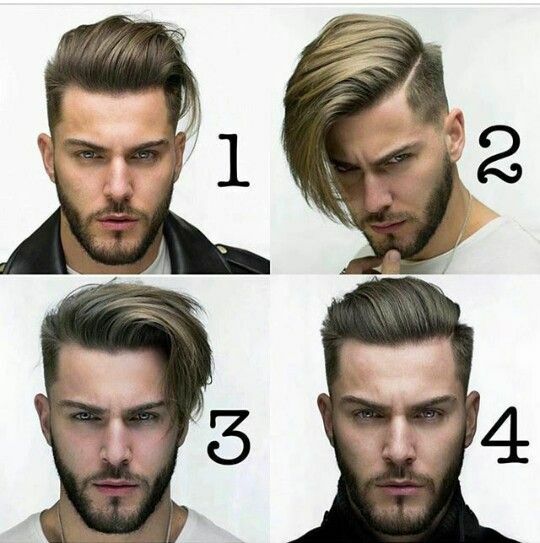 Here are a few examples of a soft part hair style that look great with medium length mens hair. 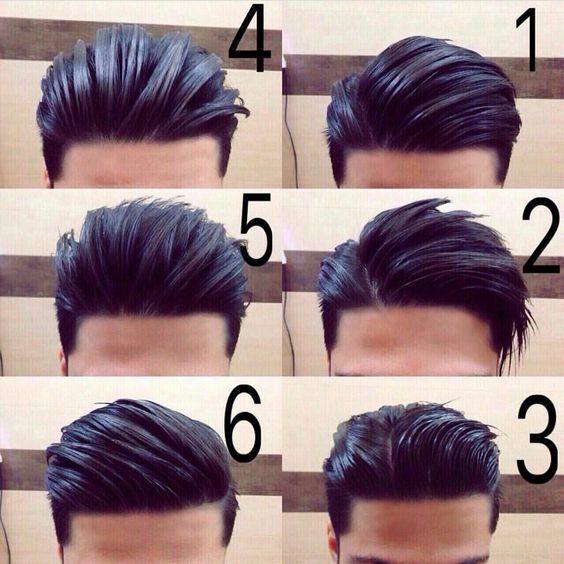 Numbers 1-3 have a slight part that looks great, while 4-6 have a textured slicked back effect. If you’re about that faded life, there’s of tons of awesome ways to rock your look. This illustration shows how you can switch it up from a slicked back look that shows off your fade on both sides, as well as suggestions for a more classic look that conceals the fade on one side. 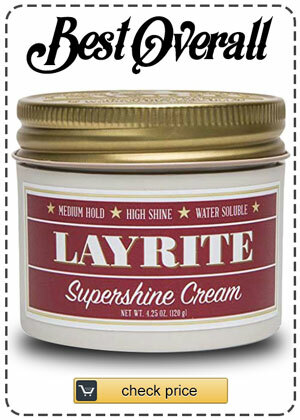 The possibilities are quite endless with this fresh look and a jar of your favorite pomade. The pompadour is peak of vintage hairstyle greatness, and we have totally respect for any man who can pull this off. The trick to this look is patience, and of course the right buildable pomade. The classic look features slicked back sides, with most of the body in the bangs area. The more modern pompadour features more side styling with a soft wave. Either way, it’s a dapper look, and we are very happy it’s back in style!